This image is an O.V. Hunt picture provided by Ted McCormack. This image is significant because it puts a lot of the layout at Newcastle into perspective -- where things were located -- as well as assisting in understanding the changes in the roads and the railroads locations. It is taken from the tailings pile at the No. 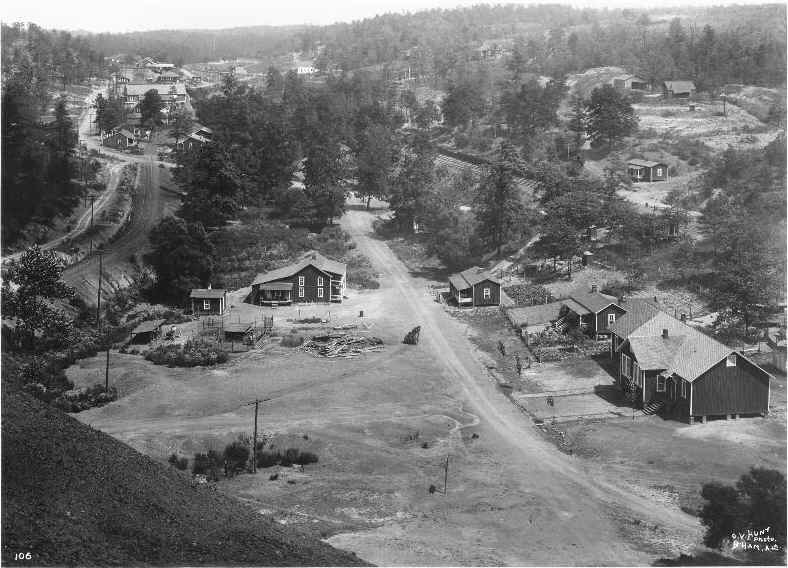 2 Mine Site, which is located over the viewers left shoulder in this picture -- the view is north. 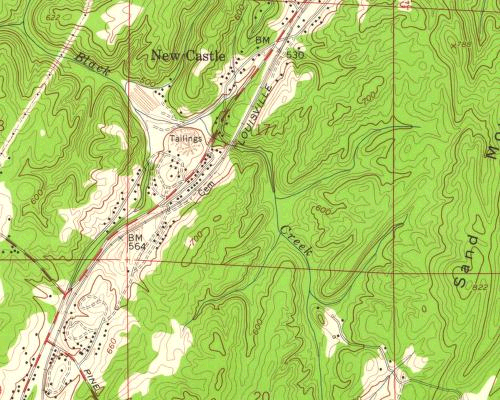 See the 1959 USGS map for the location of the tailings pile at Black Creek.